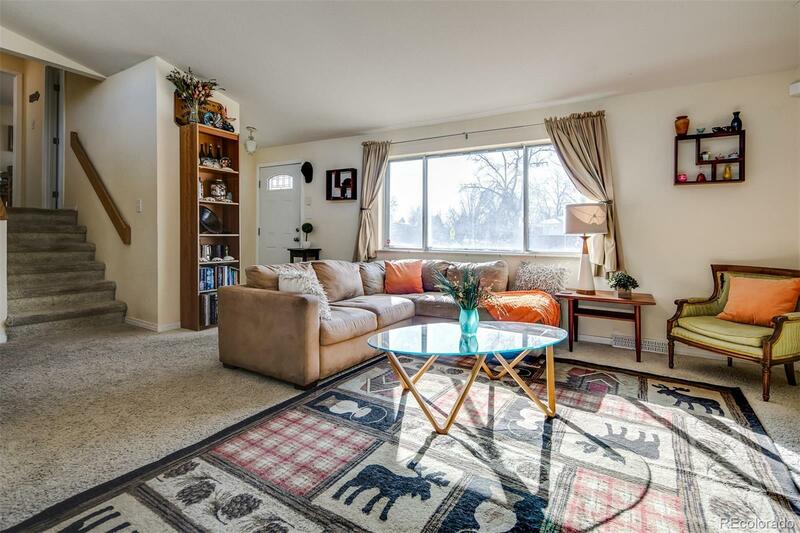 Live in the heart of Arvada! Located minutes from Olde Town & a short drive to downtown Denver, this charming home is within walking distance or a short drive to schools, shopping centers and parks. Open-concept main floor living with vaulted ceilings and South-facing, oversized windows bring in an abundance of natural light. The large kitchen with room for a breakfast nook, includes a new GE 5-top gas stove, Broan hood and KitchenAid oven. The cozy dining room with sliding glass doors gives access to the covered deck and fenced-in backyardâperfect for outdoor entertainment. The upstairs includes the master, second bedroom and a recently updated bathroom with a pebble stone walk-in shower with dual heads, hardwood tile & custom vanity. Finished basement has another generous living space, perfect room for office or craft room as well as laundry room and second bathroom. While currently carpeted, the upper & main floors have hard wood just waiting to be refinished beneath.